The sale of a family collection of British and American art and antiques assembled by three successive generations of South Carolina enthusiasts will go under the hammer through Childress Gaffney auctions in Greenville on February 9. Miniature chest of drawers in mahogany from c.1785 which is estimated at $400-600 in the Childress Gaffney auction in Greenville, South Carolina, on February 9. The collection was assembled by Mrs Walter Sullivan Griffin Snr, her son Walter S Griffin Jnr and his daughter Nelle Griffin McPherson, all from Greenville and enthusiasts for art and antiques from both sides of the Atlantic. More than 440 lots of silver, ceramics, paintings, classic 18th and early 19th century English and American furniture and works of art will feature. It ends in a 50-lot section devoted to a collection of items of miniature furniture, small-scale pieces often produced as salesman’s samples or apprentice items, a collecting field enthusiastically embraced by Walter and Nelle. These lots are a mix of American and British examples and range from cabinet furniture to occasional tables, vernacular seating, bed frames and even a miniature firescreen and perambulator. 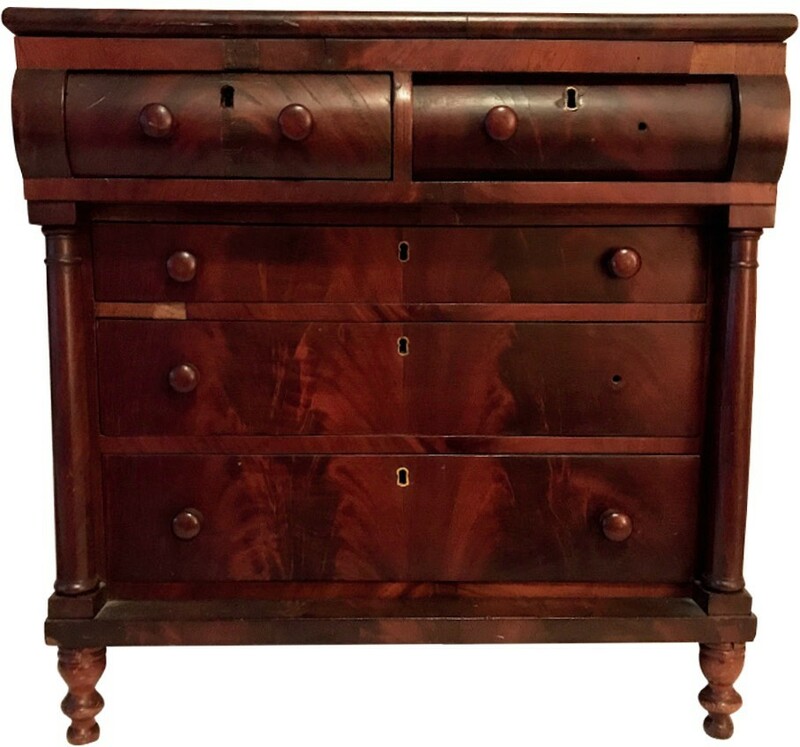 Pictured top is a miniature chest of drawers in mahogany from c.1785 measuring 18¾ x 10½ x 18½in (48 x 26.5 x 47cm). It is estimated at $400-600. 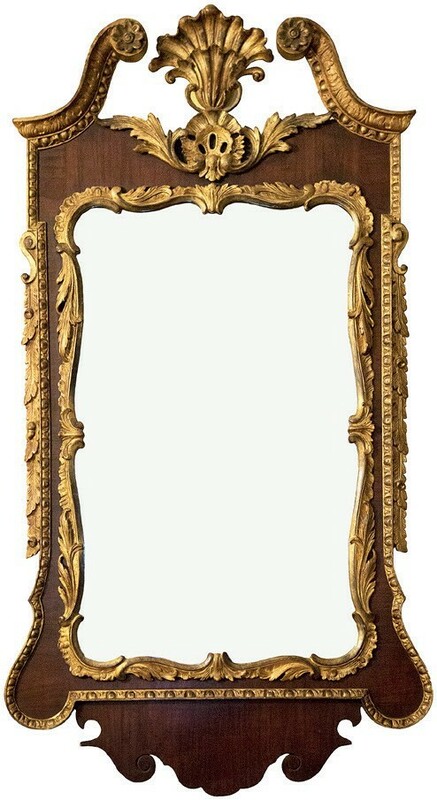 From the full-size furnishings in the Childress Gaffney auction in Greenville, South Carolina, on February 9 is this parcel-gilt walnut framed mirror, one of a pair dated to the 18th century which are estimated at $4000-6000. From the full-size furnishings comes this parcel-gilt walnut framed mirror, above, one of a pair dated to the 18th century, measuring 4ft 3in x 2ft 2in (1.3m x 66cm), which are estimated at $4000-6000.